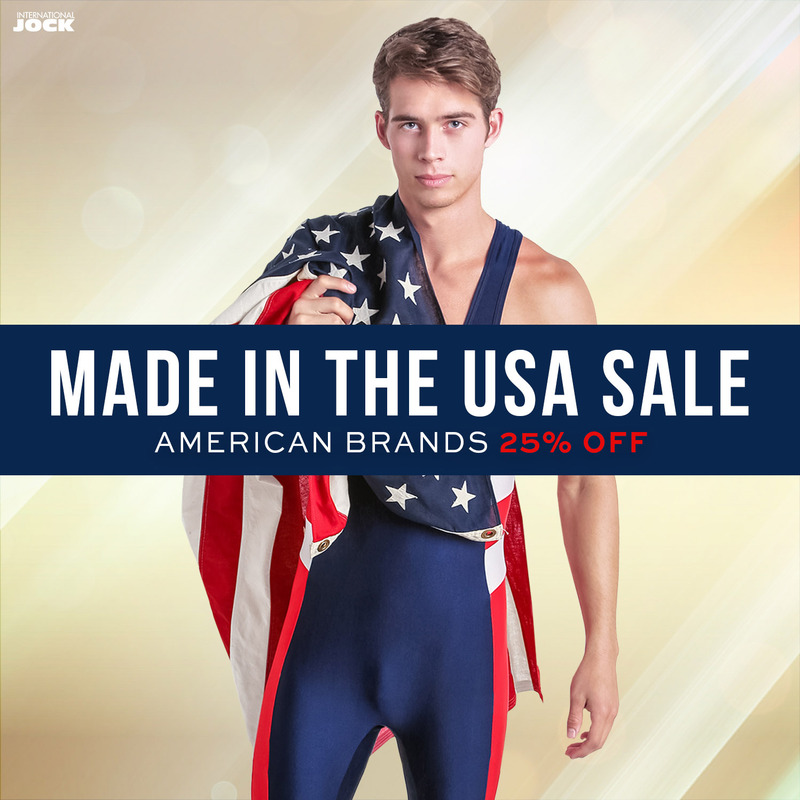 For 5th year running, US based and very popular, online men’s underwear and swimwear retailer International Jock is celebrating the 4th of July with a limited time sale at 25% off on every single item from American brands it has in stock. This is a one off opportunity to get your hands on the latest designs from your favourite brands at reduced prices. The sale starts today (29th June 2017) and lasts until the 4th of July 2017. We will let though the guys from International Jock do the talking. The press release is below and right after that you can see a nice selection of photos the store released to celebrate this annual sale. Links to guide you to the sales pages are provided below for your convenience! Save money, celebrate America and support U.S. businesses and jobs at International Jock during their “Made in the USA” Sale! For a limited time, popular men’s clothing brands which are manufactured in the USA are 25% off. Your clothing says a lot about you, but did you think to check the label? Where your underwear and swimwear is made makes a big difference, and what better time than Independence Day to buy domestic? 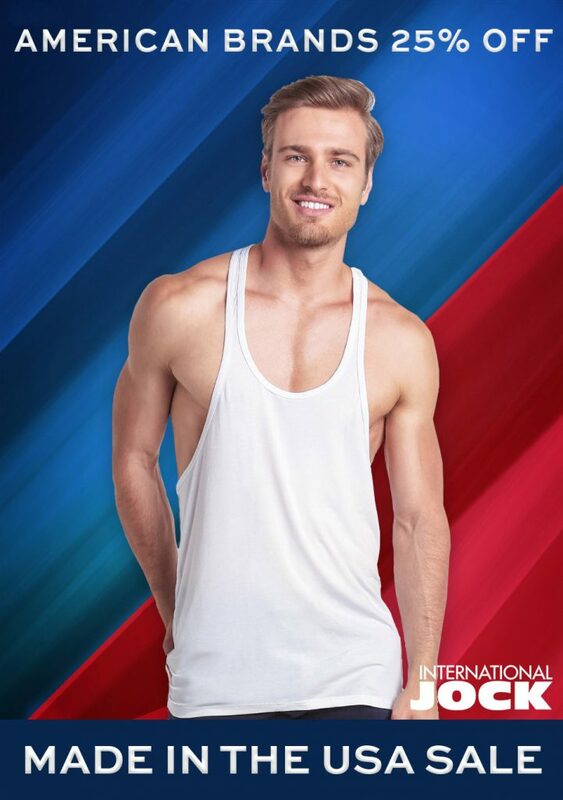 International Jock carries brands from all over the world but has always made it a point to seek out and support U.S. manufacturers. With hot-selling men’s swimwear brands like N2N Bodywear, American Jock, Go Softwear, Sauvage, Marco Marco and LA Sporting Club, International Jock’s “Made in the USA” sale makes it easier than ever to show your patriotism by supporting companies that keep their workers employed right here in the USA. So head on over to the International Jock “Made in the USA” Sale and remember: when you pull on your favorite American underwear, you’re supporting more than what’s between your legs.